Unless you've been living under a shag carpet for the past couple of years, then you're likely aware that the current calling card for any host is a well-appointed bar cart. 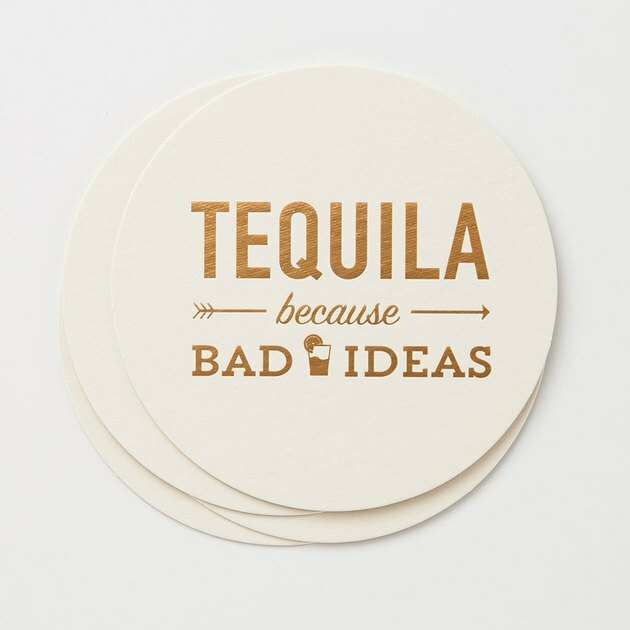 And it's not simply about the kind of alcohol you have on hand, either. These days, your drink display has to be a centerpiece — it's now commonplace to be judged on the mid-century vibes your cart is putting out and whether or not you have trendy accessories to round out the party. Instead of letting the pressure get to you, take a deep breath and a look at this list of essentials. From the bar cart to the booze, you can get everything you need for less than $500. 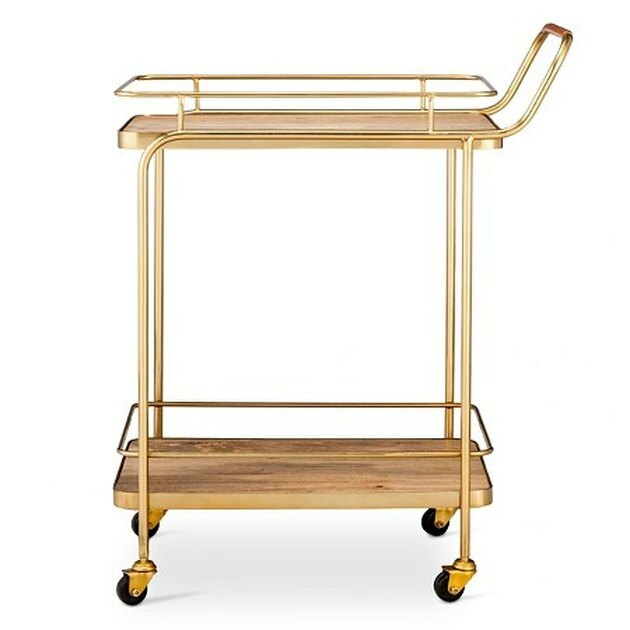 This gold bar cart from Target is outfitted with metal, leather, and wood ($123.49), which is basically everything that's in style at the moment. Even better? It's totally budget friendly. 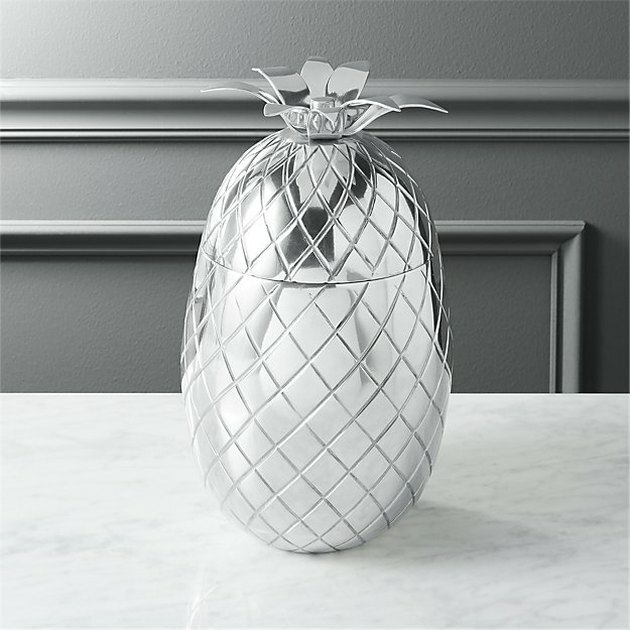 The standard ice bucket has nothing on this pineapple version from CB2 ($69.95). Even when it's not in use, this must-have will still look cool. Look like you really know what you're doing — even if you're not exactly sure — when you stock your bar cart with this West Elm mixology barware set ($49). 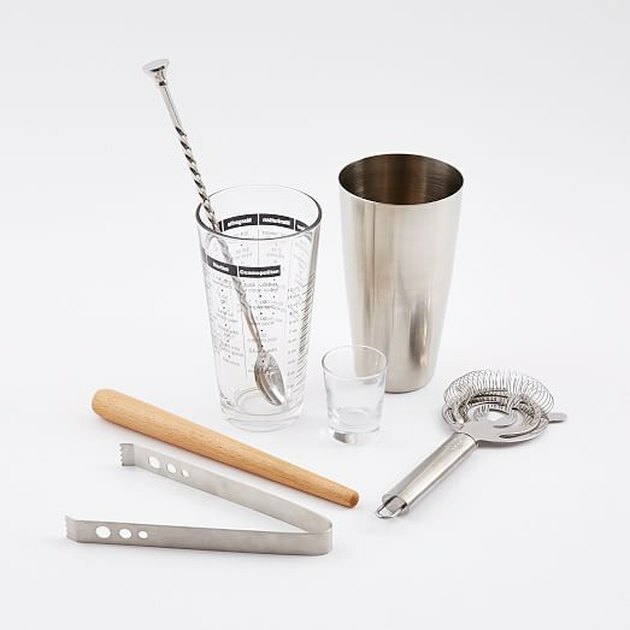 The collection includes a strainer, tongs, a shot glass, and a muddler, so you can theoretically make any drink you'd like. 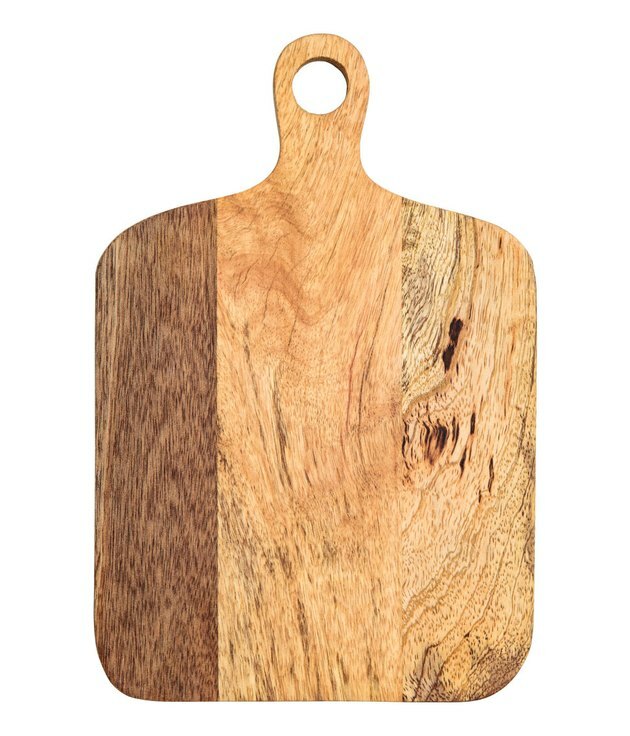 There's no need to run to the kitchen to finish up a drink's ingredients when you have a cutting board on hand. This small one from H&M ($12.99) won't take up too much space, either. 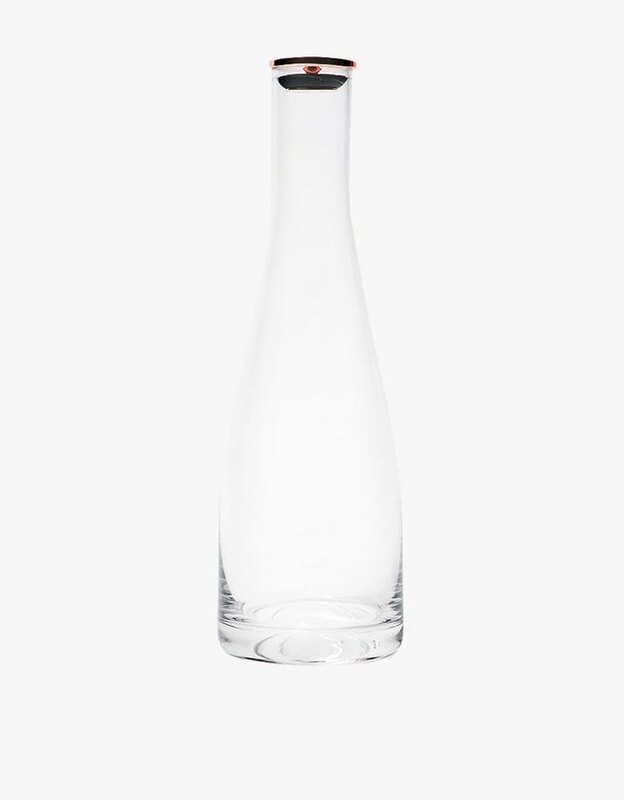 Store a cocktail mixture in this Need Supply Co. carafe ($60) to chill in the fridge, and then place it on your bar cart once guests arrive. 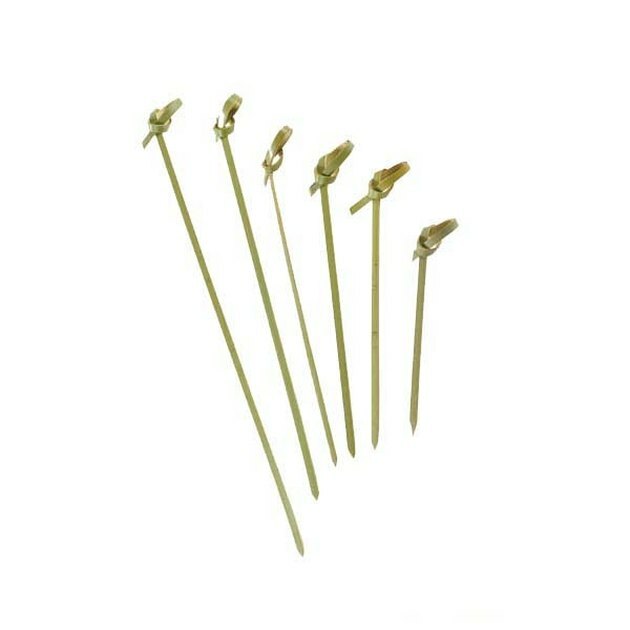 Top off your cocktails with fruit or other garnishes using these bamboo skewers from Bio & Chic ($7.40). Whether you're serving hard liquor or a couple of brews, you'll need a few coasters to keep from making a party foul permanent. This coaster set ($14) will keep your furniture safe, and make your guests smile every time they use it. Whipping up a pitcher of a certain adult beverage? 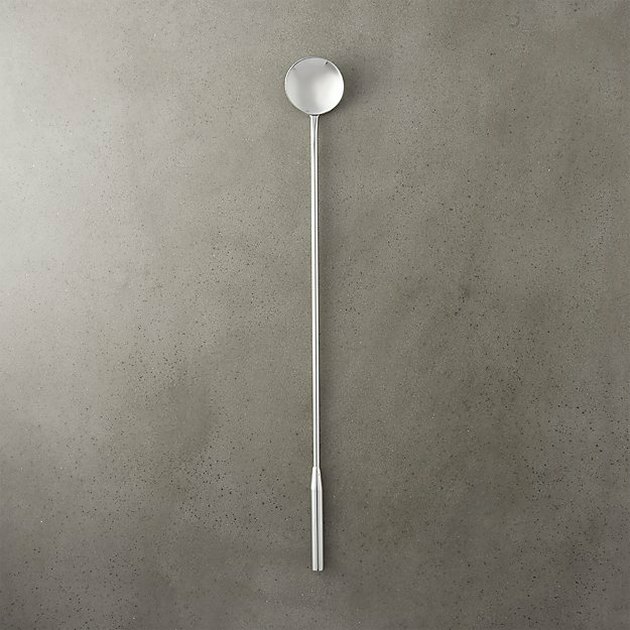 Make sure you're combining every last ounce with this CB2 stainless steel stirrer ($3.95). 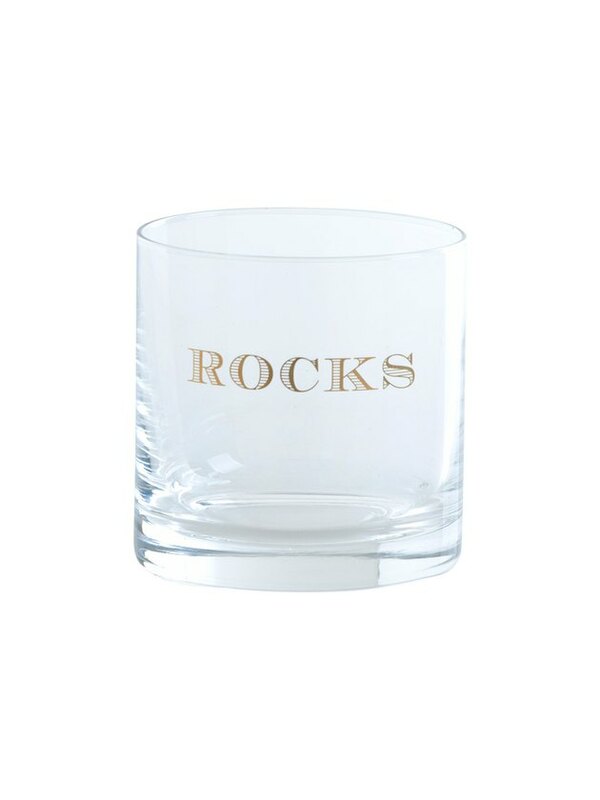 When you're ready to pour your guest a cold one, serve it in this slick bar glass from Gilt ($6). Now you're set to buy the booze, and with the money you saved with these essentials, you can grab an assortment that keeps you within a $500 budget. Cheers!